Bring your vacation adventures up a notch on one of our Papagayo canopy, canyoning or rappelling tours. 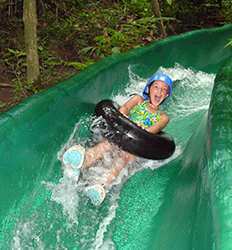 Better yet, try them all at one of the amazing Adventure Parks in Guanacaste. 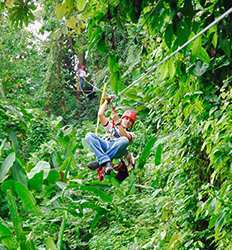 Few things are so quintessentially “Costa Rica” as a good old fashioned canopy tour, and we offer some of the best canopy tours in Papagayo! But don't stop there! 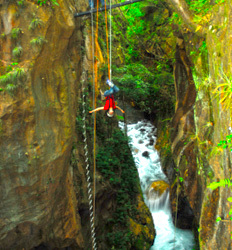 Exploring canyons and rappelling down waterfalls or dry canyons is another way to really experience Costa Rica. 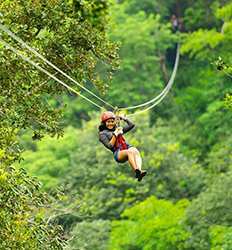 Venturing through Papagayo's nooks and crannies in this way is rapidly becoming as synonymous with the Pura Vida of Costa Rica as the canopy tour itself. Check out our Papagayo canyoning & rappel tours and don't miss a minute of the fun! 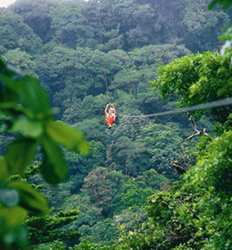 Looking for just a taste of a Costa Rica canopy tour? We got that! 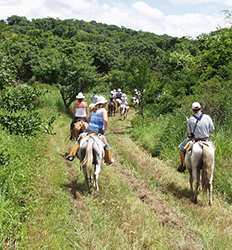 Want full day of canopy, canyoning & rappelling in Papagayo combined with other fun activities such as horseback riding, ATVs & hot springs? 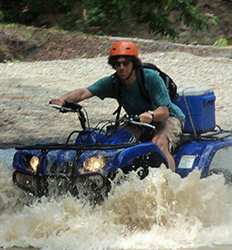 Check out our Costa Rica adventure parks, we got you covered there too! Explore more about each of the Papagayo tours we offer by clicking through the options below. Your Papagayo Canopy, Canyoning & Rappel adventure awaits! If you´ve already been on rainforest canopy tours, joining the Guanacaste Dry Forest Canopy tour is your chance to experience something new! The tropical dry forest in Costa Rica is unique because it has long periods of drought of 5 to 8 months when precipitation almost totally stops. 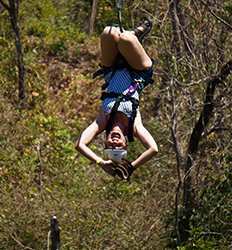 Guanacaste Dry Forest Canopy Tour deposit is $15.00 per Adult and $10.00 per Child. Dos por uno (two for one) does not only apply to drinks! 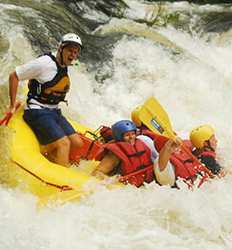 In this case we are talking about excitement and adventure all in one discounted excursion! 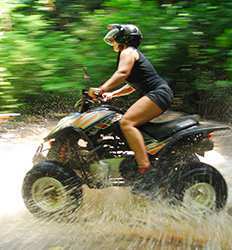 The Gulf of Papagayo ATV and Canopy Combo tour allows you to enjoy two completely different sensations all in one day. Enjoy an incredible day of two amazing adventures! Calling all adventure seekers! If you´ve been looking to get out, get wet, and get moving, it´s your lucky day! 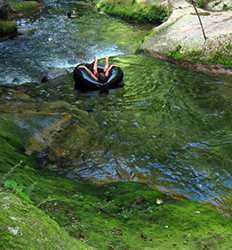 We´ve put together quintessential Costa Rica tour combo in which we raft the rapids of the Rio Colorado, and then rappel down the famous waterfall with which it shares its name. Join us on our Colorado River Rafting & Rappel combo tour and see for yourself. Colorado River Rafting & Rappel Combo deposit is $30.00 per Adult and $20.00 per Child.